You want to improve your German? Then the Summer University in Aachen is your best choice! 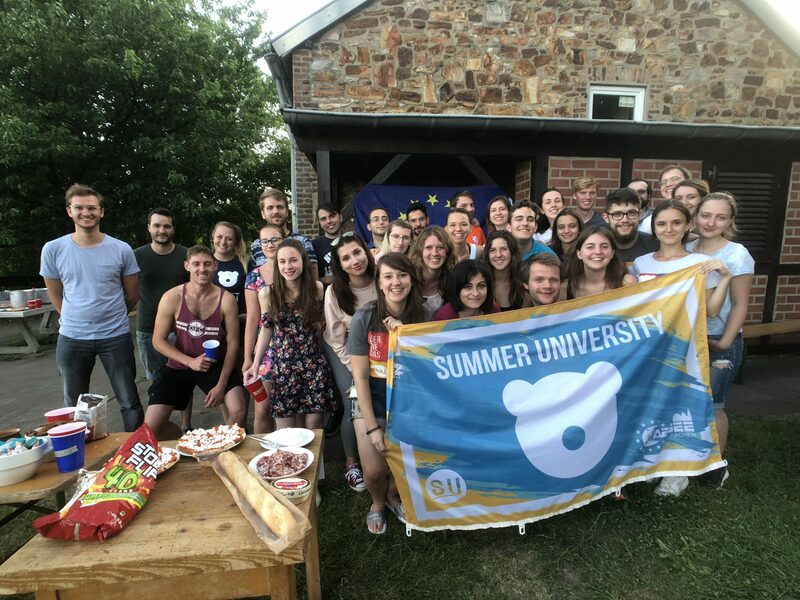 AEGEE-Aachen has 30 years of experience in organizing language-based Summer Universities and they are always among the best, funniest and craziest in the entire network. Last year, this course was ranked the second-best among all AEGEE Summer Universities, right after the Transsiberian train SU. This year the course in Aachen starts in the 27th of June and finishes on the 12th of July. The title “Achtung: Wild! Umfahren oder umfahren?” is hard to translate. You want to find out what it means? Then apply! Main organizer Markus Barten will tell you more about it in this interview. 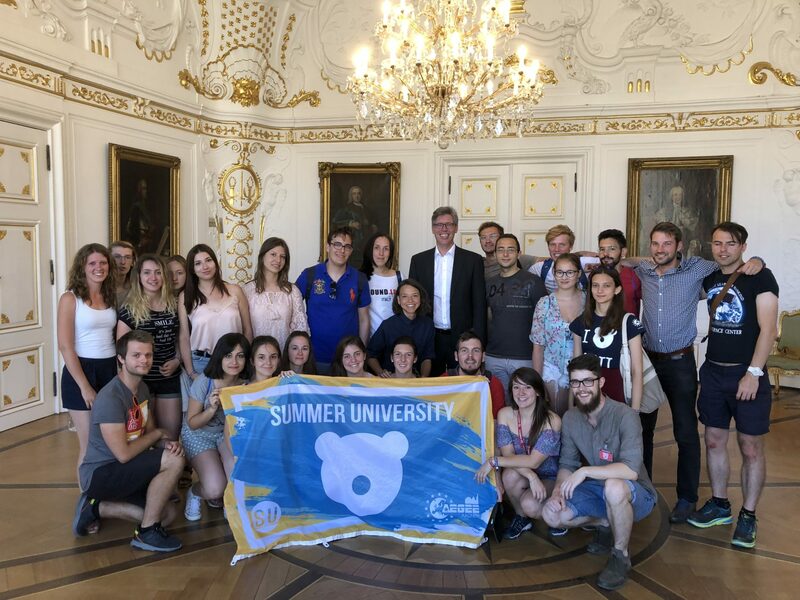 Golden Times: AEGEE-Aachen’s Summer University was one of the best in 2018. Why and how did you manage it? Markus Barten: There are several reasons for this, on the one hand we had an excellent organisers’ team in 2018. Angelika Kurth as main organiser put a lot of work and time into planning and organisation. We also had more than enough local helpers, and they had at least as much fun as our participants. Additionally, we had great luck with the weather. As anyone who knows a bit about Aachen will tell you, it can be a bit rainy sometimes. I personally think our strength is how we accommodate our participants. In most SUs you are stuck in a hostel and spend your nights there, but we hosted all the participants in our apartments, which I think improves the relationship between participants and organizers. GT: The SU of AEGEE-Aachen is one of the few language courses in the network. Why did you choose this topic? Markus: At the beginning of the SU project three decades ago there were only language courses. Today we are one of the few ones left. This alone sets us apart from the others and makes us unique – but it is also not always easy to find participants. We now have 30 years of experience with our SU and also with the language course! Sometimes you just should not break old traditions. However, just because we do a language course does not mean that we cannot party too. The language course is from morning to noon, about four hours. In the afternoon there are always different things scheduled, and of course, even after the lessons we continue to only speak German. 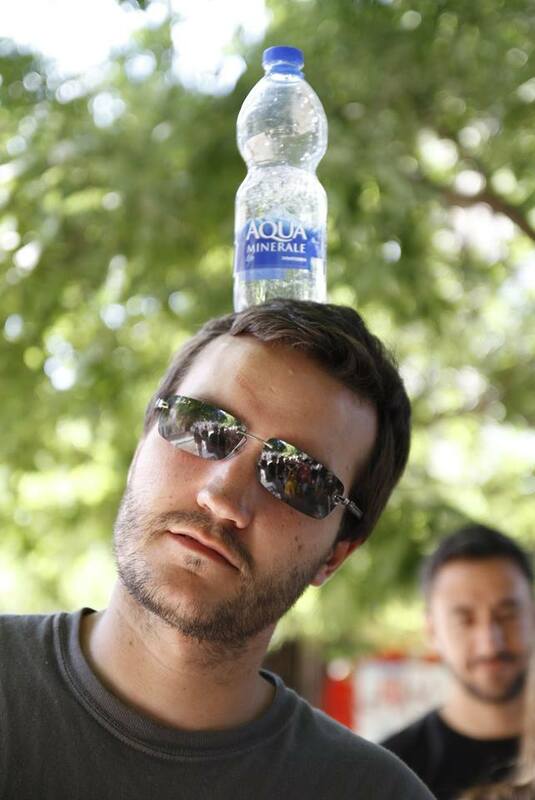 If you ask the participants of the last years, it is a balanced mix between language course, parties and excursions. The ranking last year shows us right where we need to be. GT: What does the great ranking place in 2018 mean for your antenna? And how important is the SU in general for your antenna? Markus: Of course, the second place in the ranking made us very happy and proud. But, what’s even more important for us is that our participants had fun and do not regret choosing our SU. 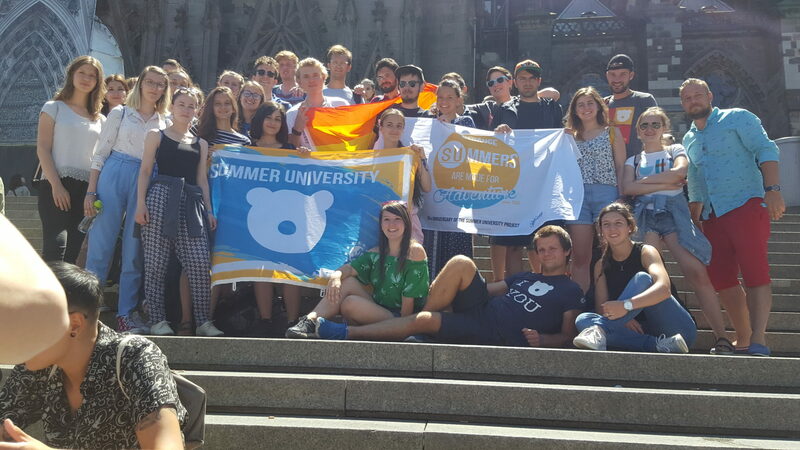 The SU project is, next to our Erasmus work, one of the highlights in AEGEE-Aachen, you can see that by how many helpers we have when it’s time to organize things or tasks that are about the SU. GT: How do you want to make your SU even better than 2018? Markus: That’s a tough question, last year’s was very good. Of course, we adopted the concept language course because it’s our tradition and we do not want to break with it. We have changed the programme a bit, and have added additional programme items via new sponsors. GT: Can you tell us more about the language course? And what other thematic highlights do you have? Markus: At the beginning of our SU, our participants will take a placement test, so we can see on what level they are. Depending on the results, we divide them into two groups, one less and one more knowledgeable. Based on this, lessons are held in different rooms so that our teachers, most of whom are student teachers, can focus on the various strengths and weaknesses. In addition, we have the theme “1990s”. We want to focus on how life in Germany and Europe has changed after the fall of the Berlin Wall. To explore this, we will go to the house of history in Bonn and prepare various workshops. GT: What cities and landmarks will you visit? Markus: We will spend our first weekend in a youth hostel in Rohena. This should serve as a team building weekend so that we get to know each other. The second weekend we go to a campsite in the Eifel, located directly on a lake where we can also swim. We will also go to Bonn, our former capital, to visit the house of history. It is a museum and the exhibition includes historical objects about Germany since 1945 until today. Which fits perfectly into our 90s theme. Apart from these excursions, we prepared things in Aachen that are much more fun in the summer than in winter, such as a city rally or a walk to the highest mountain in the Netherlands. Markus: I think the special thing about AEGEE-Aachen is the mix of older or more experienced members and new or less experienced members. As soon as a new member wants to lead a project or has ideas, they have a number of people on their side who help to realize this project. This means we have a great deal of knowledge about the organization and its structures in our local area which we can call up to anytime. In addition, we also have lots of AEGEE trainers with us who always offer good workshops on various topics. Markus: Everything important to know, you can read on www.aegee.su. For further questions, we are of course also available at SU@aegee-aachen.org. After the selection of the participants there will be a group for them and for our helpers to get to know each other. Markus: If you think learning German isn’t fun, we will convince you it is. In the past, nobody went home after the SU and said it was not good. So if you already speak a little German and want to improve it, come to us. I promise, in the end you will have not only a lot of new friends, but also know the difference between “umfahren” und “umfahren”.